We had an early morning flight from Los Angeles to Kona, with a stopover in between in Honolulu. Due to our early flight, most of us skipped breakfast at the hotel for the extra sleep before we rushed over to the airport to check in, drop off our bags and find our gate. 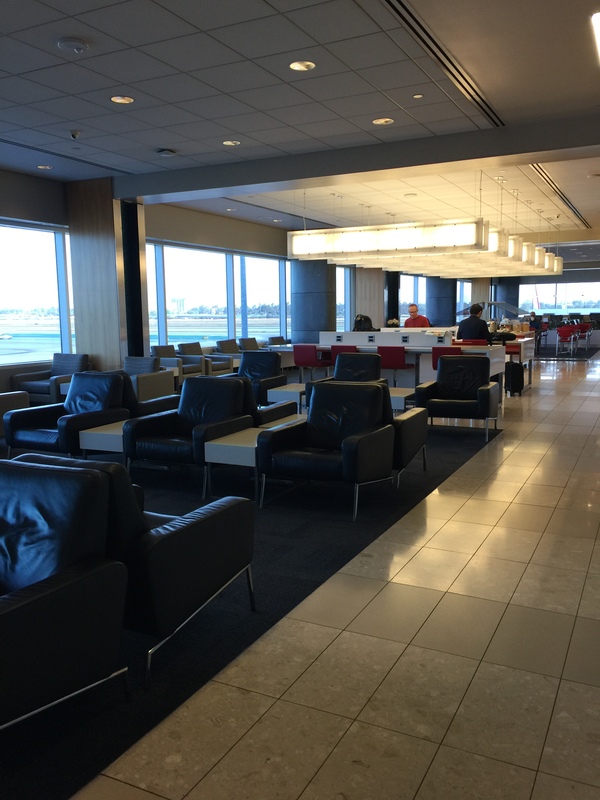 As we arrived at the gate with a bit of time before boarding, I decided to take a few minutes to go in search of the Air Canada Maple Leaf Lounge to see if I could grab a few drinks and a little something to eat. Air Canada you ask? 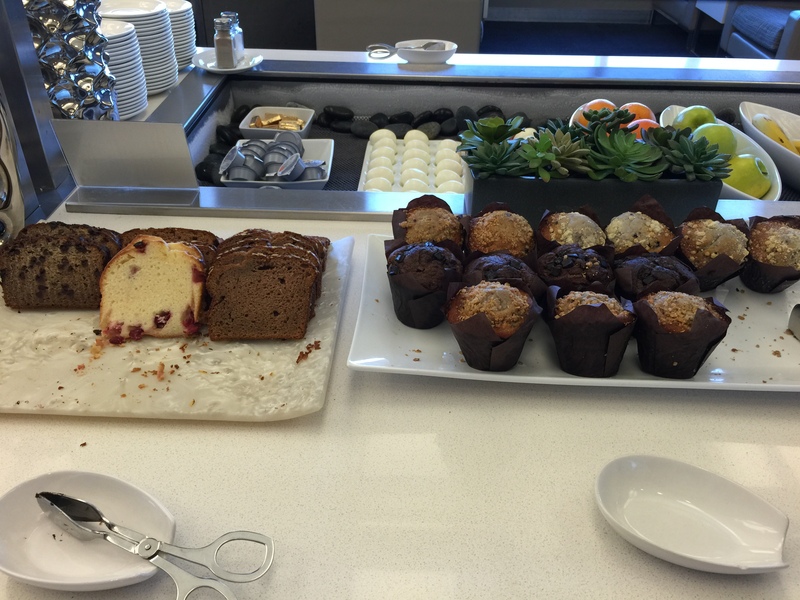 I certainly didn’t fly Air Canada from Los Angeles to Hawaii, but I was lucky that the terminal at LAX I was departing from had an Air Canada lounge I could take advantage of. We were actually flying on Hawaiian Airlines, but the Hawaiian Airlines lounge is for their executive members, of which I’m not, so I couldn’t access that lounge. But I had a Priority Pass membership which gave me access to the Air Canada Maple Leaf Lounge, so why not use it? If nothing else, I just wanted to check it out. First off, the terminal was under construction, or some sort of renovation, so finding the lounge through the maze of corridors and signs was a bit round about. But once you stepped inside the lounge, it was like you were transported to a whole different world. The terminal itself was one big mosh pit of seats strung together in a large open area that must have contained 4 or 5 different gates. That meant that everyone who was waiting for flights at each of those gates was fighting for every empty seat to be found in this large mosh pit. Stepping into the Air Canada Maple Leaf Lounge, it was tranquil, peaceful, quiet and relaxing. A large rectangular area full of nice plush seats surrounded by windows that let in the light and provided an unobstructed view of the tarmac. At the far end of the lounge there was a bank of work stations for those who wanted a more productive use of their time in the lounge while waiting for their flight. Around the corner from the work stations was a big screen TV for those who wished to pass the time with a bit of entertainment. In the middle of this long rectangular lounge was a snack bar and refrigerators set up for drinks for those who wanted to grab a little bite to eat before they traveled. 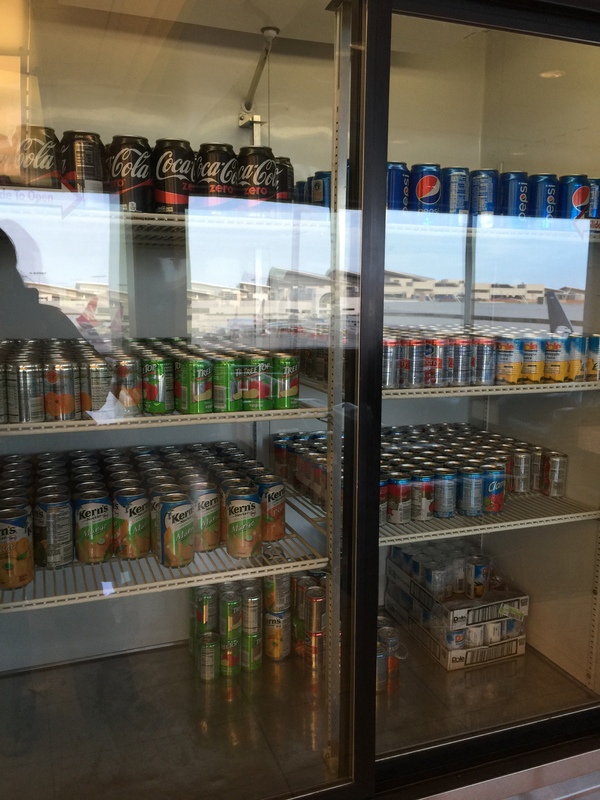 There were multiple refrigerated cases of canned drinks. Coke Zero and Pepsi, along with cans of fruit juices: pineapple juice, apple juice, orange juice, peach nectar, mango nectar and cranberry juice. I normally see carbonated soda drinks at a lot of airline lounges, but the various varieties of fruit juices was new, and I liked it. I’d never seen pineapple juice before at an airport lounge, which is my husband’s favorite. 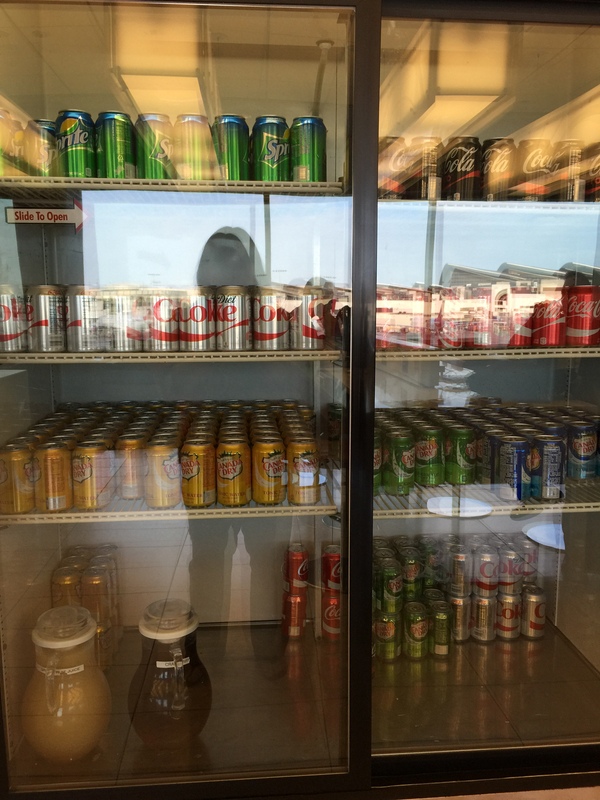 In the next refrigerated case we had more canned carbonated soda: Sprite, Coke, and Diet Coke. There was also tonic water, ginger ale and club soda. And a couple of pitchers of juices: cranberry and grapefruit. Finally, there was a coffee bar. 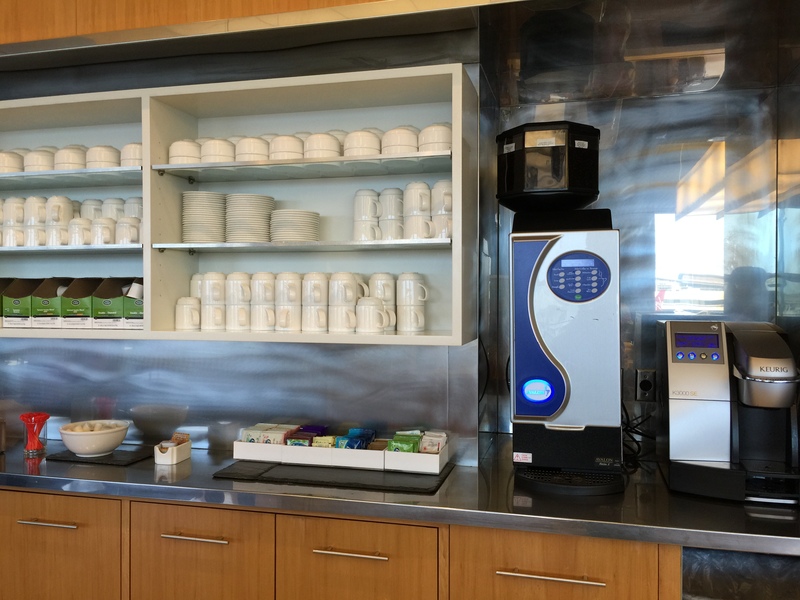 The coffee bar featured a Keurig machine with various flavors of single cup coffee. There was also a gourmet coffee machine which could make espresso, cappuccino and some specialty flavored coffee. Or if you were looking for tea instead coffee, there were multiple tea options as well. 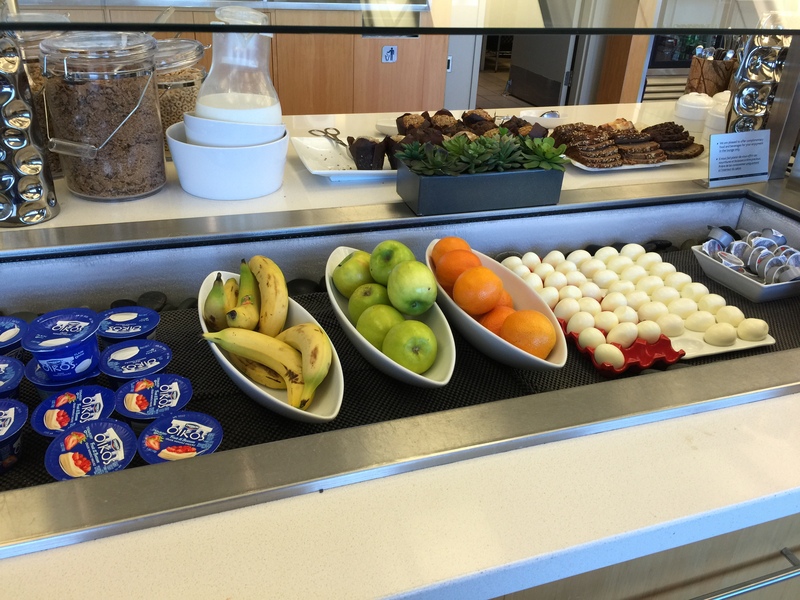 As I was there in the morning, the food display in the middle of the lounge featured different kinds of breakfast food items. 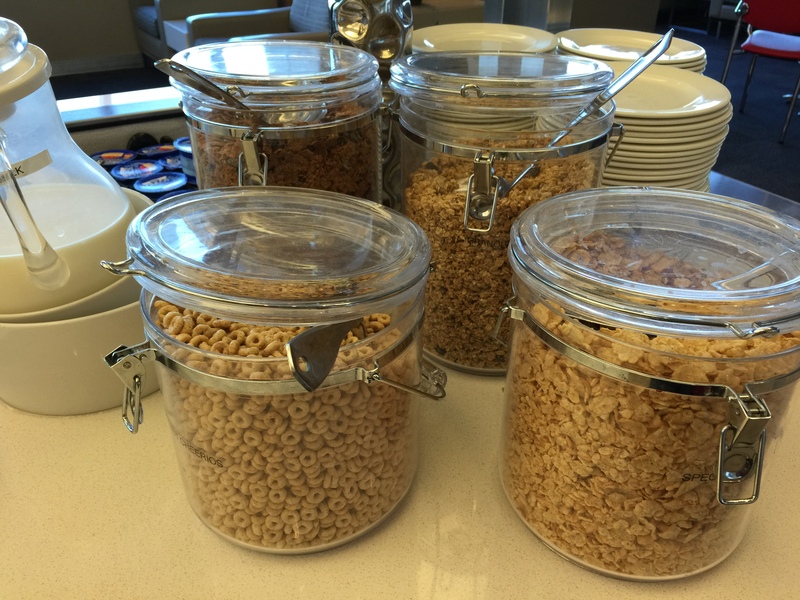 Healthy choices of cereal included Cheerios, Corn Flakes, Raisin Bran and granola. Fresh fruit options were also available. Bananas, apples and oranges to be had. Hard boiled eggs were also available, if that’s your thing. Cartons of yogurt were also a breakfast option. Pastries and baked goods in the form of various types of sliced bread loaves and muffins were laid out for the taking as well. I was really tempted to grab a chocolate-chocolate chip muffin. I’m a sucker for chocolate. 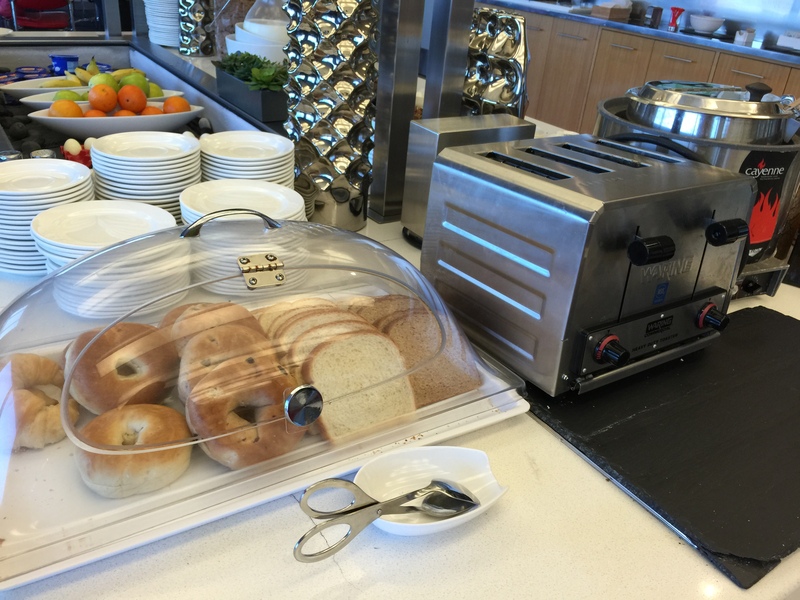 Finally, if you wanted bread goods for breakfast, there were croissants, bagels and white and wheat toast set up next to the toaster. The usual suspects of cream cheese, butter and jelly could be found to accompany your bread product. The set up for breakfast wasn’t tremendous, but it definitely was enough of an option to provide a traveler with more than enough to fill them up before traveling further afield. What I enjoyed about the Maple Leaf Lounge was how airy and open it was. 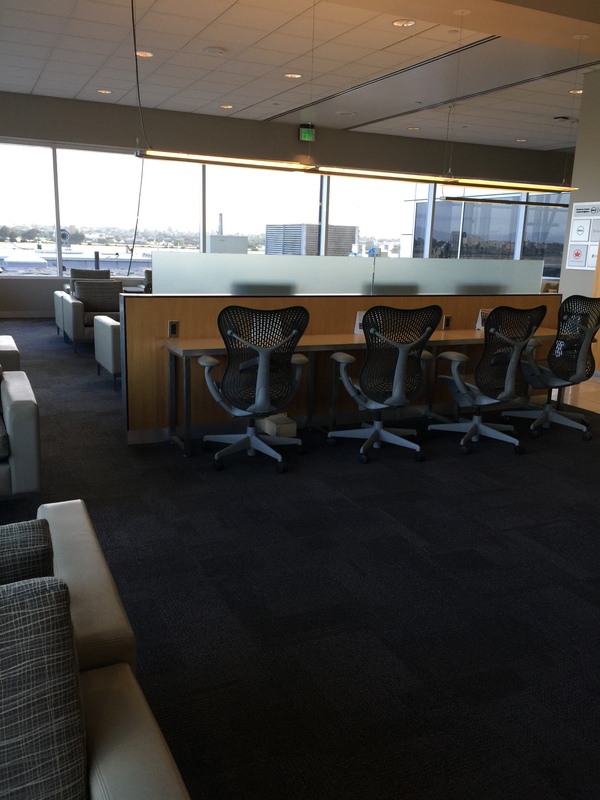 This was definitely a space that you can go to relax and unwind before your flight. It may not have been the most luxurious or scrumptious airline lounge I’ve ever been in, but I’ve definitely seen worse. I was just grateful to be able to step into the lounge for a few minutes, grab some fruit and some drinks and power up for my flight to Hawaii. It’s time for the vacation to begin. Thanks for the review! We’re flying out of terminal 2 in a couple weeks and I am doing research to see if the lounge is worth a stop.